LSAT 2019 Exam Dates has been revised. Law School Admission Test is an international level entrance exam shortly known as LSAT 2019. It will be organized by the Law School Admission Council (LSAC), USA. LSAT India exam is a national level conducted through offline mode for law aspirants. It is organized for providing admission in UG, PG and integrated law courses in India. More than 85 law institutions and colleges consider the LSAT score for providing admission. The LSAT is a standardized test of reading and verbal reasoning skills required for admission in law courses. Application Form has been released. In this article, we have provided details about LSAT 2019 including application form, dates, pattern, syllabus, etc. LSAT 2019 Application Form has been released from 16th October 2018. Check here for registration details. LSAT 2019 Exam Dates has been revised.Check dates below. LSAT registration 2019 can be done through online mode only. The application form is provided from 16th October 2018. There is no offline mode provided to apply for the LSAT exam. Firstly, candidates have to fill the enquiry form first. After filling the enquiry form, a confirmation mail will be sent to the registered Email ID. Candidates are required to upload the scanned image of the photograph. Students must take printout of the LSAT 2019 application for further use. There is no need to send the printed application to the authority. Candidates have to pay Rs. 3800/- as an application fee. Fee payment can be done via online mode using debit/credit cards. Payment through demand draft will not be accepted. The application fee will be same for all categories. Qualifying Exam: Student should have qualified 12th board exam of 10+2 education system of CBSE or any other board. Minimum Marks: The minimum marks required in the qualifying exam vary as per the colleges. The basic minimum marks will be 45% which is accepted by most of the colleges. Qualifying Exam: Student must hold a bachelor degree in any stream from any recognized college or university. Minimum Marks: Students must have secured 45% marks in the qualifying exam. Qualifying Exam: To apply for PG law courses, students should have passed UG or integrated law courses from any recognized college. Minimum Marks: Students must have obtained 45% marks. Mode of Exam: The exam will be conducted through pen and paper based (offline mode). Duration of Exam: The exam duration will 2 hours 20 minutes. 35 minutes will be given for each section. Sections: The question paper will comprises of four sections, i.e. Analytical Reasoning, 1st Logical Reasoning, 2nd Logical Reasoning and Reading Comprehension. Type of Questions: The question will be of a Multiple Choice Question some with four answer choices and others with five options. Number of Question: There will be 92 – 100 questions will be asked in the exam. Marking Scheme: 1 mark will be awarded for each correct response. Negative Marking: There is no negative marking in LSAT exam. It will measure the ability to understand a structure of relationships and to draw logical conclusions about that structure. Candidates will be asked to reason deductively from a set of rules & statements or that describes relationships among persons, events, etc. This section checks the ability to analyze, complete arguments and critically evaluate. Test taker has to read and comprehend a short passage, then answer a question about it. This section will contain four sets of reading questions. Each section will consist of a selection of reading material, followed by four to nine questions that test reading and reasoning abilities. Candidates must prepare for the exam as per the prescribed syllabus. Make yourself familiar with the exam pattern, type of questions, exam timing, etc. Basically, this exam will measure critical thinking skills, so concentrate in reasoning type questions. Take help from the reference books and also practice from the previous year question papers. Maintain your health during the preparation time. Registered candidates will be able to download their admit card through online mode. It will be available from 22nd May to 1st June 2019. LSAT admit card will contain details like exam date, time, test centre name & address, candidates details & exam instructions. Candidates have to bring one original ID proof on the exam day. Candidates may carry any one IDs from the Driving License, Passport, PAN card, Voter ID, Aadhaar Card, etc. 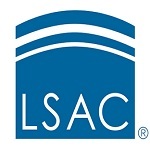 The LSAC will provide the LSAT Result 2019 in June 2019. The result can be check via online mode. LSAT score card will be used for admission in 2019 session only. Candidates note down that result will not be provided through Email or post. Candidates are required to enter their login details to check the result. The admission process will be started after the declaration of the result. Candidates have to download the score card and apply to that respective college where they are seeking for admission. There are a large number of colleges in India, which accepts LSAT score for providing admission. Admission process will be different of various colleges. Candidates have to participate in the admission process organized by their respective college. If you have any other queries about LSAT 2019, you may leave your queries below in the comment box. Can we apply to law universities out of the country through this exam? I am studying 12th right now.Am I eligible???? Please provide the list of the collages which comes under LSAT exam for 3 years LLB course. Sir,Plz name the college which is under SLAT. I’m house wife.is this test will be useful for distance education? I m graduate from law nd passed barconuncil exam. Is ther complsory to pass this exam ?? Actually wat is LSAT, Iam a degree holder and completed my B.ED also. Shall i eligible or not give me full details. In future with LSAT is the use of it. What’s the difference between LSAT and clay exam? presently I am now studying 11th class. can I apply for the LSAT 2019??? No, you can’t apply right now. can a person appear in LSAT exam for 3 year LLB course? Is there any age limit for writing this exam? Is this exam applicable to all over India? Like in can a candidate prefer colleges in any state of India?,… Secondly, is there any quantitative section included? It says that we need a bachelors degree for undergraduate courses. So does that mean that I can’t give lsat after 12th? You can give this exam after 12th. My frnd got 43% in 12th is she eligible for this exam?